Is Storytelling One of Your Leadership Superpowers? I’ve been working with some senior leaders recently on using powerful tools like storytelling to engage others in strategy. Just last week, I also saw a headline that Marvel’s most recent movie – Ant Man and the Wasp – opened in 1st place this past weekend. It was their 20th straight #1 opening. Marvel is telling some great stories. How can we, as leaders, start telling some great stories? A recent article in The Mission identified 20 Storytelling Lessons We Can Learn from Marvel, analyzing what makes them so good at the art of the story. I’m not going to discuss all 20, but but here are three that all leaders can use to make storytelling one of their superpowers. Heroes are not inherently interesting. Only dynamic, flawed characters can connect with dynamic, flawed humans. Too often leaders, especially senior leaders, are viewed by other people in the organization as being different from them. And, too often, these leaders hide the parts of themselves that would make people believe any differently. I’ve facilitated many leadership sessions where a senior leader shares his or her story. The most impactful stories are those where the senior leader opens up and shares the stories of the hardships, the mistakes, the questioning of themselves and the missteps that they have experienced in their lives and careers. And what they did to overcome those challenges that led to success. Avoid info-dumping by maintaining a thread of suspense until the last possible moment. I recently saw a video by Lani Peterson, who is an executive coach and storytelling expert. She explained what happens when we talk facts and figures. She notes that we make sense out of information by turning it into a story and comparing it to other stories we’ve experienced. We, as the listener, have to do all the work. As leaders, if we are focusing on facts and figures – info dumping – rather than weaving a story that builds to a important point, we are not engaging our listeners. Instead, they’re in their own heads, working to figure out how to make sense of what we are telling them. When you’re communicating, don’t rely on Powerpoint or spreadsheets to share where the organization is going or why a particular decision was made. Build a good story that pulls the pieces of the story together, allowing for the big reveal at the end. If you’re a fan of Iron Man, one of Marvel’s most successful heroes, you probably see all three of these dynamics play out. Marvel gives us a character, Tony Stark (he inhabits the iron suits) who is deeply flawed. Like most people, he struggles with his weaknesses, overcoming them on the way to saving the world. Likewise, Marvel also doesn’t try to paint the good guys’ organizations in the story with an overly flattering brush. Like the heroes, the agencies eventually overcome their own challenges. And finally, like most good stories, there is a feel-good twist at the end. A sense of the heroics of overcoming difficulties both superhuman (defeating an evil empire) and every-day (salvaging a friendship, or coming together as a team) in the service of a greater good. https://i0.wp.com/nextbridgeconsulting.com/wp-content/uploads/0-6.png?fit=533%2C250&ssl=1 250 533 James Harvey http://nextbridgeconsulting.com/wp-content/uploads/logo-2-new_lngc2.png James Harvey2018-11-13 01:34:342018-11-13 01:34:34Is Storytelling One of Your Leadership Superpowers? Three weeks ago, I had the pleasure of working with two executive teams. Their businesses are very different. One is over 20 years old with almost 4000 employees. The second is a start-up driving towards commercializing its first product. While different, both of them were exploring a common question. Who are we today and who do we want to be? In both cases we started with who the team wanted to be so we could frame that sometimes more difficult conversation – who are we now? Do we fully understand who each of us is? Do we understand how each of us filters information, makes decisions and communicates? Are we aligned around a common vision of where this company or department is going? And how are we, as a team, are leading it? This may seem obvious, but misalignment amongst leadership is a common cause of organizational dysfunction and average performance. Are we role-modeling the characteristics we want this organization to exhibit? How are we pushing each other to step out of our comfort zonesin a productive and effective way? Innovation doesn’t happen when everyone is comfortable. How do we provide impactful feedbackto each other so that we increase the team’s effectiveness rather than diminishing it? What about when the inevitable happens – when we’re sometimes annoying each other? Are we avoiding certain people? Aggressively confronting them? How well is it working? There’s a third option that gets better results. Why so many questions? Because good answers require good questions. In today’s environment, personal and organizational curiosity is a prerequisite for leadership and business growth. And if you’re not digging deeply…, you’re limiting the depth and speed of your growth. https://i2.wp.com/nextbridgeconsulting.com/wp-content/uploads/pensive-woman-in-front-of-question-marks-sketched-on-blackboard-picture-id175385538.jpg?fit=533%2C250&ssl=1 250 533 nextbridgeconsulting http://nextbridgeconsulting.com/wp-content/uploads/logo-2-new_lngc2.png nextbridgeconsulting2018-04-25 20:34:452018-05-03 20:47:42Who Are We Today? Who Do We Want To Be Tomorrow? Which Blind Spots are Hurting You? Your Team? One time when working with a coach to prep for a job interview, I was videotaped. I was completely unaware of some of the things I was doing. With the help of the coach I was able to see the behaviors that could interfere with my success. I was made aware of my blind spots. The most successful leaders I work with are always looking for ways to continue improving, and that includes uncovering and addressing blind spots… which often change over time. Blind spots can be feelings and thoughts we have, mental models we employ or behaviors we exhibit that we aren’t fully conscious of. Or behaviors that we just aren’t aware are producing a negative result. These could include overestimating your change agility or being too data driven. Perhaps relying too heavily on your own enthusiasm for a project, or not knowing about a new market disruptor that is about to impact your business. And we are all familiar with leaders who don’t see how their communication style is impacting others. Not understanding your blind spots can significantly limit your success as a leader. It limits your team’s performance. It can even cost your company its market and customers. Some leaders don’t understand that they are shutting down innovation or new thinking. I work with teams all the time where performance is hurt by members who don’t realize, for example, that they’re interrupting too often, or conversely, not vocally contributing enough. Kodak famously had a blind spot about the impact of digital photography on their market. They chose to do nothing with the very technology that was invented by one of their own engineers in the mid-1970’s. From the executives’ viewpoint, they were incredibly successful. They dominated the market. Why worry? Other people usually see your blind spots long before you do, so you don’t want to be unaware of them for long. Conversations focused on feedback. You may be thinking, I’ve asked people to give me feedback and I don’t’ get any. Don’t discount the fact that you may be getting feedback, but it’s either too subtle or you’re not tuning into it. Remember – it’s a blind spot. And many people are reticent when given general invitations. Can I really give feedback about anything? It’s more effective to ask for feedback about specific situations or behaviors. If you’re having trouble with employee feedback, ask a peer you trust. If it’s a team issue, ask someone who worked with you on another team. Finally, if you’re known for not asking or for not reacting well to feedback, it’s going to take a while. Be patient. Keep at it. Formal 360 feedback. Handled correctly, this can be a powerful tool for collecting feedback because it is often gathered by someone other than you and then shared with you. This can help people feel safer about sharing what may be unpleasant for you to hear. I use a mixed approach of a survey tool and confidential interviews to help the executives I work with gain a 360 perspective. Validated, reliable self-assessment toolsthat generate in-depth feedback about your personality preferences. They are predictive of how you typically behave in various situations. I’ve found Insights DiscoveryTMto be one of the best of these tools. It’s easy to use and utilizes a straightforward framework that generates nuanced, personal results. Simply becoming more self-aware and identifying your blind spots is not enough. You can know that you’re coming across as a jerk and still continue to be a jerk. You need to be purposeful in applying that awareness to your own improvement. Some people refer to this as mindfulness – being self-aware and acting with intentionality. Your organization through purposeful development of a culture of self-awareness and intentional action. There are a number of strategies and techniques you can employ to overcome blind spots. If you’d like to continue the conversation, please contact me at 978-475-8424 or e.onderick-harvey@NextBridgeConsulting.com. https://i2.wp.com/nextbridgeconsulting.com/wp-content/uploads/stepping-on-banana-skin-smaller.jpg?fit=533%2C180&ssl=1 180 533 nextbridgeconsulting http://nextbridgeconsulting.com/wp-content/uploads/logo-2-new_lngc2.png nextbridgeconsulting2018-04-12 20:52:322018-05-03 21:02:38Which Blind Spots are Hurting You? Your Team? 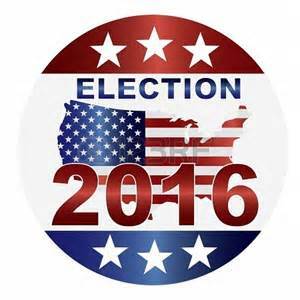 The 2016 Primary Elections are well under way. We’ve been inundated with speeches, sound bites, photo ops, small town conversations and big city rallies. Every four years, candidates encourage us to make a change. Unfortunately, many of them go about it the wrong way. If I were advising these candidates, here is the first thing I would tell them. Quit talking about how you are going to stop what the other candidate is doing. Stop telling us how we’re going in the wrong direction. Instead, tell us where you want to help us go. To steal a line from a 1990’s campaign, it’s the vision, stupid. Whether you’re a politician, executive, nonprofit leader or a leader by action and not title, Rule #1 for leading change is to create a compelling vision. For people to want to make change, they need to fight the brain’s natural inclination to recoil from change. If you want people to accept your challenge, you need to not just talk to their heads. You need to speak to their hearts. Visions inspire and engage people to take a journey with you to a place that invites them to be something greater than themselves. It’s about taking action, not having a reaction. It engages them to achieve something they cannot do alone but can achieve when they act in concert with you and others. It talks to those things that they value. It is vivid, aspirational and a stretch. If you’d like a tip sheet on creating a compelling vision for change, email me and type ‘change vision tips’ in the subject line. Several years ago, I was in a meeting with leadership expert Michael Maccoby when he was asked the difference between leadership and management. He gave very simple, elegant response. “Management,” he said, “is a role. 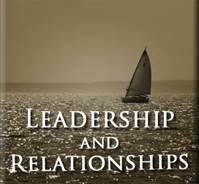 Leadership is a relationship.” Leaders are not leaders without followers. People don’t follow because someone has a title. They follow because a leader has created a connection to something in which they want to participate. As we know, leaders’ relationships with their people are somewhat strained these days. Trust, a key part of any relationship, has been damaged by the financial crisis, the recession, corporate responses to the recession that were often necessary, but also very difficult. Rebuilding leadership trust and our relationships with those we work with is a critical component of engagement and for moving our companies forward in 2015. If leadership is a relationship, how do we build real relationships at work? Not transactional relationships where we are focused on the tasks and activities needed to get work done but relationships where we are creating a work environment where the sum is greater than the parts. In his book, The Trusted Advisor, David Maister discusses the trust equation, a formula for building sustained partnership with others. While he discusses the equation’s importance to business advisors, it describes the elements of trust that are key to real leadership. C is credibility. Leadership credibility has two components. The first is how much your team believes your words and actions. The second is to what degree you have the know-how, experience or background to know what you are talking about. On the one hand it’s objective — do you have the ‘qualifications’ to be a leader. On the other hand it’s an emotional response. Do I perceive you as being believable? Do your actions reflect truthfulness? Do you have truthful intent? How many experiences have we all had over the past 18 months that made us question the truthfulness of those we considered leaders? What’s the lingering impact on our workplaces? R is reliability. People need to know they can count on leaders, that the leader will walk the walk and talk the talk. Leaders need to follow- through on promises and follow-up on commitments. There needs to be a sense of predictability and fairness in the way a leader approaches situations and people every single day. Otherwise, the relational bank account that funds trust goes into the red. In the Trust Equation, I is intimacy or the ability create a personal connection. This does not mean that as a leader you need to share your private life or dwell on the private lives of your people. It means recognizing that work is a personal place and issues like career development, promotions, compensation, reorganizations, hiring and firing are intensely personal. As a leader, the willingness to have emotional honesty about these and other issues in the workplace increases the trust your team has in you and the commitment they have to your agenda. Credibility, reliability and intimacy’s additive effect is mitigated by how much others perceive a leader is acting primarily out of self-concern. If others believe a leader building a ‘relationship’ primarily to serve his or her own interests — i.e., to advance his or her career, to manipulate a situation for advantage without regard to the goals, needs and struggles of others, to push off responsibility and blame others– trust is destroyed, the relationship is seen as disingenuous and engagement and commitment plummet. As you look at engagement and commitment in your organizations this year, think about your own trust equation. To what degree have you developed a real relationship with your people? The tips in this post were co-written by my colleague, Stefanie Heiter of Bridging Distance. This is part three of a three part series. For the past two weeks, I’ve shared tips with you for creating results and managing performance when leading a virtual team. Last week’s tips focused on discussing both the ends and the means and creating a game plan. This week’s tips are about creating a feedback and coaching loop and maintaining the relationship. Tip 5: Create a feedback and coaching loop. 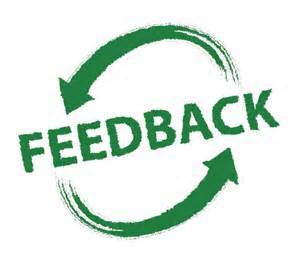 Feedback on performance is most effective when it is timely and about performance that you’ve directly observed. In a virtual world, the ability to physically see someone’s performance is not always possible. Create processes that allow you to gain meaningful information about an individual’s performance. For example, a sales director uses a survey with customers to get input into a sales person’s performance. While she created the survey to get direct feedback from customers who interact with her salespeople in live situations that she is unable to attend, it has created better customer relationships. The customers have told her that they are thrilled to be asked because it allows them to be heard. Also use technology to coach. For example, virtual meeting software could allow a less experienced team member to simulate a client presentation to you, providing you with the opportunity to coach them in real time. Tip 6: Maintain the relationship. Our first tip was about relationship building. Once you’ve built the relationship, take steps to maintain it. When we primarily use technology to communicate, we often feel like we need to have a reason to communicate. Develop a culture that says it’s ok to just check in – not check up on – by calling or initiating contact without a specific need. Make it clear that you don’t see this as a sign that someone doesn’t have enough to do. Also, make a point to communicate the positive. Say thank you, recognize an individual’s achievements and results. If we are in the habit of using technology as a vehicle for only task oriented communication, we miss an opportunity to use it as a vehicle for building capabilities and engagement. Model this behavior with our team and you’ll find that when you do need to communicate because of a specific need, those conversations are more productive. Effectively leading performance in a virtual world is similar in many ways to effectively leading performance in a more traditional work configuration. Leaders need to communicate expectations, monitor behavior and results, and establish an effective relationship so that we can work through the invariable issues and problems that arise. Ina a virtual world, we have an ever growing toolkit to help leaders be more effective. By understanding how to use each appropriately, leaders can get strong performance in any of the many work arrangements we find today. The tips in this post were co-written by my colleague, Stefanie Heiter of Bridging Distance. This is part two of a three part series. Last week I shared two tips with you for creating results and managing performance when leading a virtual team. They focused on building relationships and being thoughtful about how and when you communicate. 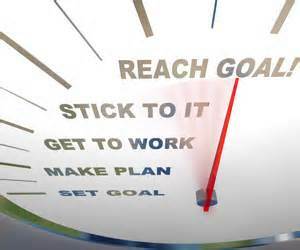 This week’s tips are about setting goals and creating accountability. Tip 3: Discuss both the ends and the means. Clearly understand the expectations you have of the individual. What does success look like? Make sure your definitions of success focus on the results the individual is achieving, not just the activities. Think about using the SMART criteria – specific, measurable, attainable, relevant and time bound – to both set and communicate goals. A goal of “Have 5 customer satisfaction meetings each month’ focuses on what you want someone to do. The goal “Increase annual customer satisfaction by 10% through improvements identified in customer satisfaction meetings” focuses on the result. Another thing to think about is how the individual will achieve the goal. When people work virtually, they don’t have the opportunity to learn the culture and the way things get done. Explicitly help them understand what works and what doesn’t in your organization. How are people expected to behave? How should they be working with others to meet their goals? Sharing stories of how others have been successful is a powerful tool for communicating expectations. It paints a picture of the type of results and behaviors you expect. Tip 4: Create a game plan. Once you’ve set clear expectations, staying connected and establishing accountability is essential. Specifically discuss which technologies you will employ for different communication needs. Is status best delivered through email? Do you utilize Sharepoint as a repository for different types of documents? How should time sensitive conversations occur? How should the individual communicate with others on the team? When should they make a decision on their own and when should they make sure the two of you talk first? Determine the most effective mix of ‘old’ and ‘new’ technologies. A client recently shared that their geographically-dispersed sales team is using a private Twitter site to share product information, market intelligence and sales tips in real time. 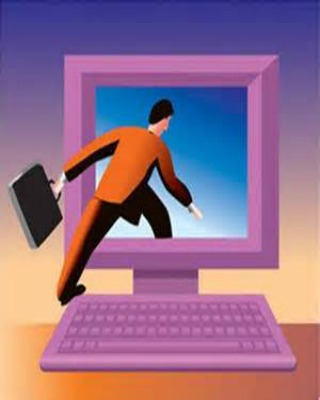 They credit the site with increasing the effectiveness of their sales efforts. Determine what suite of technologies you will use to assess progress against goals. Real-time conversations will be part of it but also consider the use of technologies that allow for asynchronous communication.